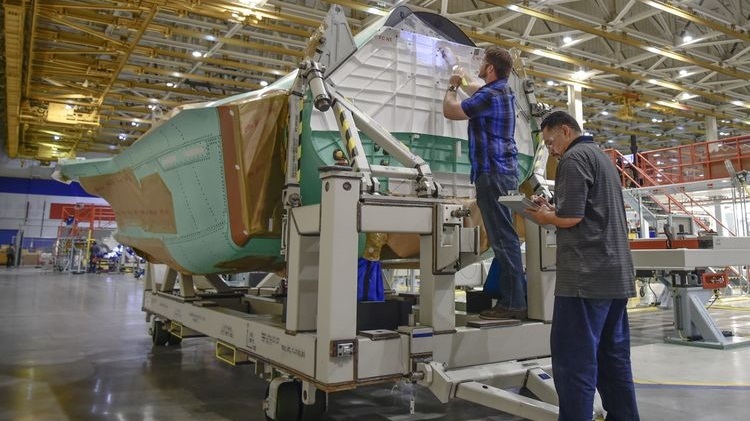 Manufacturing of the centre fuselage for the F-35 Lightning II fighter has entered full-rate production (FRP) at Northrop Grumman’s integrated assembly line (IAL) at Palmdale in California. The centre fuselage production rate has increased to a production interval (PI) of 1.5 per day, meaning a centre fuselage for any of the three models of the F-35 is produced at the IAL every 1.5 work days. The rate increase coincides with the delivery of the 400th F-35 centre fuselage to prime contractor Lockheed Martin in May, and the start of production of the 500th centre fuselage in late June. The commencement of centre fuselage FRP anticipates a decision on F-35 FRP being made by the Pentagon through the JSF Program Office (JPO) in 2020. An article from FlightGlobal says that the Canadians have requested an additional 7 F18s for a total of 25 airframes (18 flyable , 7 non flying) with the first 2 to be delivered in 2019. The additional 7 will be used for software testing and spares.